Nikki has been a dancer since she was 5 years old. She has studied and performed several types of dance including ballet, jazz, and hip-hop street dance. 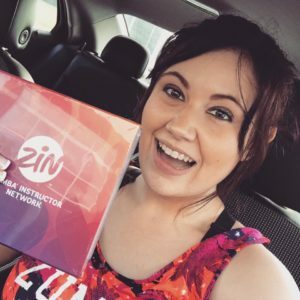 Nikki began regularly attending Zumba classes in 2014 and became a licensed Zumba instructor in August 2017 so that she could combine her love of dance and passion for fitness to help others reach their fitness goals. Her style tends to be high-impact with emphasis on hip-hop and pop flavors. Come prepared for a high-intensity workout that is so much fun you won’t even realize you’re working out!